NintenGen: "The Wii-mote can do more, way more"
"The Wii-mote can do more, way more"
At the end of the day developers want players to have fun rather than impose clever mathematics on them, so if it turns out to be fun only using a simple subset of the controller's gizmos then why worry about how 'proper' it is?" If Ignition Entertainment can take advantage of that potential, then we could truly see what the Wii can do. 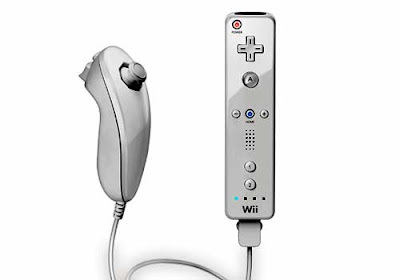 It's about damn time developers get creative with the remote instead of taking existing gameplay mechanics and slapping the Wii-control scheme on it. True. They should truly try to make new franchises. Still, games like SSX Blur look to use the Wiimote really well. I'd like to think the controller can do more than just tilt and aim though. Hope for the best.